We find out what killed Patrick, well, kinda, sorta. It's some sort of infection that has also hit Karen. 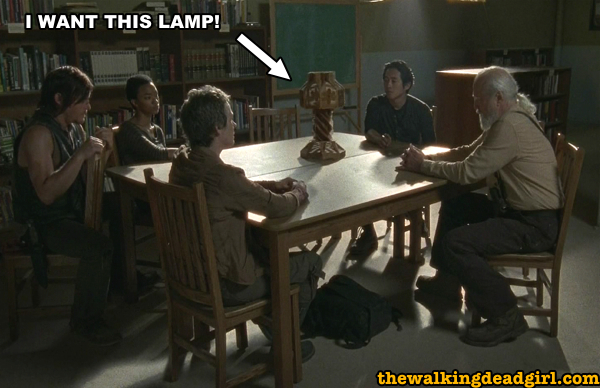 The prison is not safe anymore as anyone can turn into a walker at any time. The walkers are forcing down the fence and Rick sacrifices his pigs to prevent a collapse. In the end, Rick puts on his gun belt and hands Carl his old gun back. Our favorite disgusting scene was the walker face being squished against the fence. Two mysteries that still need to be unravelled: Who is feeding rats to the walkers. Who burned the infected bodies in the last scene. Reminder, we'll be at Walkerstalkercon this November 1st, in Atlanta. Stay tuned to our podcast to hear about our adventures there. Listen for free on iTunes. If you like the show, give us a rating there. 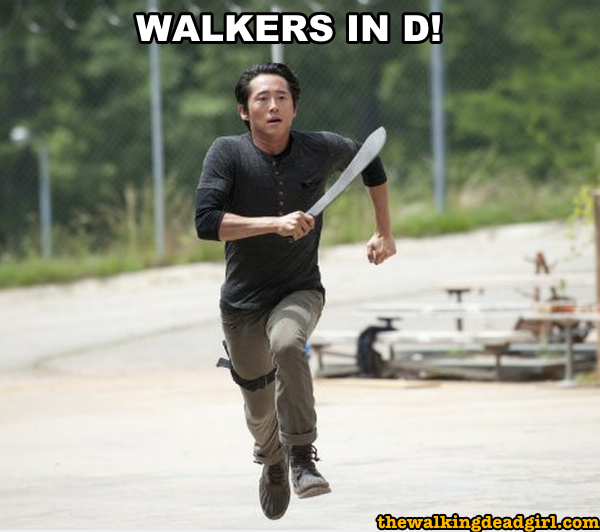 Glenn running to help fight off the D cell walkers.